As much of a joy as it is using manual lenses with my NEX-7, I would love to have the ease of autofocus in my near future. The only problem with getting a current native e-mount autofocus lens is they all employ the lesser Contrast Detect Auto Focus (CDAF, focus is found via contrast) rather than the more efficient and generally faster Phase Detect Auto Focus (PDAF, focus is found via distance tracking), the latter of which I am used to from previous cameras. Though in good light, CDAF is known to be accurate and fast, the scenarios where I would love to use it–focusing in low light and motion tracking–the system as a whole falters. It isn’t designed for focus tracking, and in low-light, there is no contrast to detect! This is put up beside PDAF, which all DSLRs use to some degree, and focusing on subjects in low light and in motion are a cinch. Here’s where I had an idea. The LAEA2 adapter (pictured below) is brilliant, allowing NEX users to mount alpha lenses (whether Sony or Konica-Minolta) on any NEX camera and get very fast PDAF with AF micro adjustments. Obviously though, no alpha lenses were designed with the NEX system in mind, hence their very large size and weight on the NEX in comparison to smaller e-mount lenses. This size and weight issue is magnified when using full frame designed lenses, where the extra size isn’t taken advantage of by the smaller APS-C sensor. What if Sony were to make specialized lenses for the NEX system that were designed with certain needs in mind with PDAF? Sounds good, but how in the world can the NEX-7 get PDAF without the adapter? Simple, design TMT (Translucent Mirror Technology) designated lenses with the mirror, as well as the PDAF sensors, BUILT IN to the lens. Then the question is raised, what is the point of doing that when the adapter is a one-time purchase for any alpha mount lens already available? Here’s the genius of it. Let us take two supposed new e-mount lenses, an ultra-wide 10-16mm f/3.5-4.5, and something like a tele-zoom 120-200mm f/2.8 (shorter focal range than a typical 70-200 f/2.8 to try to keep the size manageable for the NEX system). It is pretty obvious that the 10-20mm would be useful for things like landscapes and other pictures where the whole frame should be in focus, while the 120-200mm could have its place for sports and action. If each lens has customized PDAF sensors, they can be fine-tuned for each lens’ usage. So, the 10-20mm could benefit from having many single point focus sensors all across the frame. Single point because motion tracking with an ultra-wide isn’t necessarily needed, and all across the frame for the camera to try to get the entire scene in focus. The 120-200mm would benefit from a high concentration of primarily cross-type points located mostly near the center of the frame. Cross-type to help with motion tracking (sports, remember), and in the center since the tendency for those photographs is to keep the subject front and center. This same principle can apply to other lenses, whichever their intended usage. Will these lenses be more expensive? Yep. Will they be specialized tools? Certainly. Are they marketable? 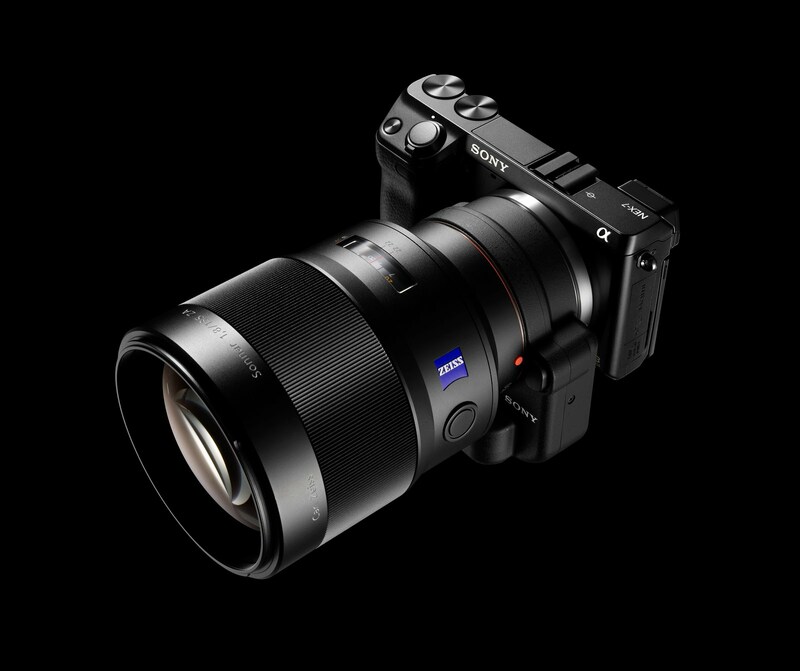 If they are superb optically and functionally (the PDAF will help with that), then they will sell like hotcakes; just look at the super expensive Zeiss 24mm f/1.8 e-mount ($1100! ), it sells out very consistently because of it superb optics. Finally, and most importantly, is this a feasible technology to implement? Well, since the Translucent Mirror itself doesn’t take up any more room diameter-wise than the lens mount, and the PDAF sensors can easily be integrated into a tripod mount (as it already is for the LAEA2), I honestly think it is very doable. It also is worth noting that the Translucent Mirror would be better protected compared to the LAEA2: were it to be in a lens, you can’t poke it from one of the sides. As always, have a great one guys. ← Sports Hiatus, no more!